Advances in technology mean that we can now record the activity of a single brain cell. We can produce images reflecting the activity of different regions in the brain. We are also able to pin point the role of different individual chemicals in the brain and have identified their impact on human behaviour. Neuroscience is now catching up with the spiritual masters of the last 2000 plus years, who have all helped us in some way to understand that true power is found in silence. A life that makes time for stillness and quiet reflection is able to delve into the depths of the ocean of consciousness. It is in these hidden depths that all things are understood. This is why the pace and superficiality of the modern era denies us access to the power and wisdom of silence. Silence is the greatest gift of a spiritual existence for it offers insight, clarity and balance. To best understand the rapidly developing research in neurotheology a basic understanding of the primary elements of the brain is helpful. It was Hippocrates in the 5th century BC who first recognized the importance of the human brain in defining behaviour. However, it was Galen in the 2nd century BC who found the evidence to support Hippocrates’ view. He worked with head injuries and performed countless surgeries and dissections, which led him to suggest that the brain was the seat of human intelligence. His work would later inspire the 17th century English physician Thomas Willis, considered by some to be the founding Father of modern brain science. At the time, his work, The Anatomy of the Brain (1664), provided the western world with the most detailed insight into the anatomy, physiology and pathology of the brain. Since that time the uniqueness and the power of the brain has been unraveled even further. The average brain houses more than 100 billion brain cells called neurons. It weighs on average about 6kg and is a redish grey mass with the consistency of firm jelly. Each neuron has a cell body, which houses its processor, the nucleus. Branching from the cell body are numerous finger like dendrites. To look at the neurons and their interconnectedness is like looking at tree-like structures, creating the ‘forest’ we call the brain. As the dendrites extending from the cell body intertwine with the other dendrite tree-like structures, an infinite maze of connections is formed. Each neuron can make up to 1000 different connections with its neighbours and with cells in other regions of the brain. This interconnectedness allows electrical signals, which are essentially information, to travel within milliseconds from one area of the brain to another – see the work of Santiago Ramon y Cajal who won the Nobel Prize for physiology and medicine in 1904. He presented the first microscope-assisted drawings of brain tissue, which appeared as a tangled mess of neurons. On closer inspection however, he found a highly ordered organism with different cell types arranged in different layers and the cells in each layer sharing a number of roles and functions. To give some idea of the staggering nature of the brain’s abilities, if every person currently in the world had internet access, the resulting network would still only be approximately one fifteenth of the size of the average human brain…… breathtaking! Although the brain has these distinct layers and regions, there is a multitude of connections that allow for almost constant communication between its different elements. The workings of the brain are too vast and in some regards too complex to address here but we believe understanding some of the primary brain functions gives an invaluable insight into our ability to change. For those wanting to delve deeper, see the work of Dr. Shanida Nataraja in her book The Blissful Brain (2008). The thalamus is the gateway for all sensory input travelling into the cerebral cortex. It relays information to thousands of neurons synchronously. As well as connected to the prefrontal cortex, the thalamus also relays information to the motor coordination centres in the cerebellum at the back of the brain via the neural circuits. 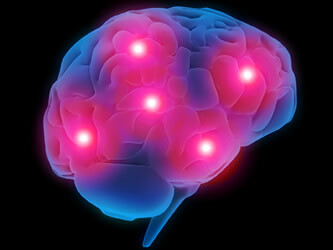 Here the brain is involved in generating movements as well as fine-tuning them. So the thalamus is a key player in brain activity. Another key player is the hypothalamus. The hypothalamus is responsible for the day to day running of the brain. The brain is very sensitive to even subtle changes in temperature, oxygen supply and the chemical content of the fluid bathing the neurons. All these factors need to remain relatively constant for the brain to perform optimally. The hypothalamus uses its extensive connections with both the endocrine system (hormone system) and the autonomic nervous system (ANS) to maintain the body’s internal environment. The ANS comprises two systems, the sympathetic (fight or flight response) and the parasympathetic (rest and digest) response. The hypothalamus is busy releasing hormones into the blood stream as well as releasing hormones that stimulate other glands. These hormones instruct the endocrine system which regulates all our physiological functions such as muscle, tissue and bones growth as well as digestion, the metabolism of food, appetite and even our sleep patterns. Its role is truly amazing. The hypothalamus is also known as the mood centre; the very name starts to provide some clues into the impact of temperament on all these functions, because our moods determine how many of these processes are carried out efficiently, further illuminating the mind-body connection. This emotional dynamic of the hypothalamus puts it alongside the hippocampus and the amygdala to form the divine triad known as the limbic system, often described as the seat of emotions. The hippocampus is crucial to the formation of memory. It is where our most emotionally charged memories are stored. It receives inputs from all our senses and then assigns emotional value to these inputs. This is why a memory of a traumatic experience 5, 10 15 or even 30 years ago can evoke the same feelings in the present as they did at the point of trauma. It is damage to the cells of the hippocampus that can cause persistent and progressive memory loss as exhibited in Alzheimer’s. The amygdala has extensive connections with the hippocampus, the thalamus and the prefrontal cortex (areas of short term memory and higher cognitive functions i.e. problem solving, attention, planning, empathy etc.). When stimulated the amygdala produces fearful, aggressive and violent behaviour; so if cells in this area become damaged or destroyed animals become tame and indifferent to danger or affection and humans become incapable of any type of emotional expression. The exciting leaps in neuroscience are really helping us to understand the interconnectedness of the brain as referred to earlier with the tree of dendrites and how the various sections and layers relate to each other. It is the connections between neurons and how they can be switched on or off in line with the input received that illuminates our ability to learn, grow and change in terms of our understanding and awareness. 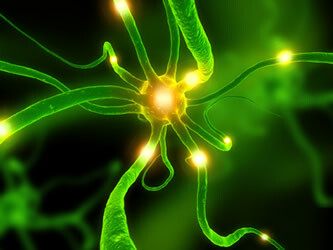 The flexible, malleable quality of the neurons’ connections is referred to as neuronal plasticity. Every new experience, every incoming stimulus, brings about a change in our brain’s configuration. Just as the strength of our muscles depends upon how much we use them, the strength of the connections in the brain depends on how often they are used. This is how our habits, patterns and tendencies are formed. As early as 1890 the work of the renowned psychologist William James highlighted the importance of neuronal plasticity in human behaviour. It is his contribution that helped us to understand that the events and the experiences of childhood, if unchecked, will continue to drive human behaviour in adulthood. He described humans as ‘mere bundles of habits’. This is why so much of what we do is done without thinking because once the behavioural template is laid down and reinforced, those muscles (neuronal networks) are able to take over a specific range of tasks on the basis of what has gone before. This is an invaluable asset when what we’ve enshrined adds value to our existence. But when the neuronal network is driving us down paths of negative compulsive behaviour, the ordeal of such experiences can, at times, make the human experience feel unbearable. Neuronal plasticity however shows us that a leopard can change its spots and that an old dog can learn new tricks. So, there’s hope for us all! However we need to understand that new behaviour arises from the conscious process of learning. The repeated exposure to new experiences that emerges out of that learning moulds new neural circuits. Couple this with the avoidance of old experiences/stimuli and the old neural circuits are erased. In other words every positive action creates a new neural circuit and every time we avoid an old unwanted habit that old neural circuit is weakened. The combination of the two means positive change is always available to us in any given moment. Having offered some insight into the brain’s interrelatedness, it is worth illustrating the obvious divide of the left and the right hemispheres (see the work of neuroanatomist Dr. Jill Bolte Taylor). Although every faculty and organelle that exists in one hemisphere exists in the other, the fact remains that their functions are different. And if it were not for the corpus callosum (which connects the two hemispheres via 300 million axonal fibres) they would be busy carrying out their different tasks independently leading to a life of chaos rather than of unison. The truth is most of us are experiencing the former anyway because we’ve become trapped in one hemisphere or the other. The left hemisphere is bound up with the past and the future and is heavily driven by logic (matters of the head). The right brain is preoccupied with the now and emotions (matters of the heart). Although there is a fairly pointless debate about which hemisphere is more important, the further you stand back and look the more you can see that one hemisphere becomes invalid without the other. For example, if one is only living in the past and anticipating the future on the basis of that, then the moment called now is lost. Equally, if the now ignores the value of past experiences and learning then a life of repeated mistakes and negative reinforcement can rob the individual of the opportunity of re-birth in each moment. It is when we live in the now, whilst being able to embrace the past and look to the future, that we afford ourselves optimal knowledge and the opportunity for a fulfilling life. This is also true in the matter of head versus heart. How can one be said to be more important than the other? Surely there is a time for both. It’s like a dance. There is a time when the head needs to lead and a time for the heart; wisdom is knowing the difference between the two. Cooperation between the two hemispheres is vital otherwise we’re left with a partial and limited description of the world. As the two hemispheres work as a team by sharing the information they’ve collected, that sharing leads to a more complete worldview. As mentioned earlier, advances in technology have allowed us to peep into the brain. MRI scans (magnetic resonance imaging) have allowed us to measure the activity across groups of neurons which is how we’ve been able to identify which areas of the brain are involved in specific tasks. This has also enabled us to understand the impact of lifestyle factors and disease on brain function. As we’ve combined this new knowledge with the detailed studies of individual neurons, their connections and their chemical signals we are able to get a more complete picture of how the brain works and responds. Arguably for the first time we have a three dimensional view of human existence. Although much more can be said on these matters (see the work of Susan Greenfield in her book The Private Life of the Brain, that of Dr. Dawson Church, The Genie in Your Genes and also the work of Dr. Bruce Lipton in The Biology of Belief) there is enough data here to help the reader understand that life is not happening to us unless we abdicate responsibility for ourselves. Consciousness is not a ‘victim’ to matter unless the subtleties of consciousness are not understood and exercised. This is why silence is so important. Activities such as meditation, prayer and positive intent allow for consciousness via the brain to dance a majestic dance with matter. Understanding brain function and how that relates to the human experience enables us in every moment to write a new script. We can simply read the old text of yesterday and continue to remain under its spell or we can realise that consciousness has the opportunity through the incredible instrument of the brain to write a new more exciting play, one that is equal to our hopes, expectations and capabilities. Remember as far as consciousness is concerned, most of us are barely awake. We live in a slumber of ignorance and peer at the world through eyes barely opened. It’s time to move into a state of single pointed awareness (a concentrated focus on what we want and where we are going). It is a lack of positive intention and focus that denies us the miracles of each new moment (see the work of Professor William Miller Ph. D. and of clinical psychologist Janet C’de Baca, Ph.D. in which they explore rapid personal changes and miraculous healings in their book Quantum Change). Neuronal Plasticity has been described by neuro scientist Richard Davidson Ph. D. as ‘enabling us to understand that things like happiness and compassion are no different from learning to play a musical instrument or tennis. It is possible to train our brains to be happy and fulfilled’. So Buddha was right when he said 2250 years ago, ‘thoughts are things’ and what we invest them with determines whether they become ‘creators of good or ill’. So use these most precious of things, thoughts, wisely. Otherwise not only will they harm you (through their biochemical consequences) but they will harm others through your moods, attitudes and actions. What is the point of science if not to help us better understand ourselves and our world and lead to a life of positive change? Make time to be still every day. Be altruistic where you can, give thanks for your blessings and treat all life with the respect you desire, for these are the actions that will best serve you, humankind and our planet. ← Previous Previous post: Proof of Heaven?